The purpose of this program is to promote business and community growth and development by promoting educational programs designed to strengthen and expand the skill level and income potential of all within the Ann Arbor and Ypsilanti area. 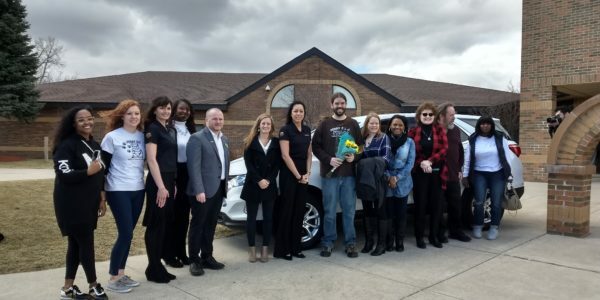 This program recognizes educational programs and/or educators in the local K-12 schools (Ann Arbor, Lincoln, Willow Run, & Ypsilanti) that deserve to be emulated in other K-12 schools. Ann Arbor – Ann Arbor Skyline Magnet Programs – Skyline High School – The Magnet Program at Skyline High School develops career pathways. All students graduate from their program with a well-developed ability to communicate, collaborate, problem solve, and think critically. The Design Technology, Engineering and Prototyping Magnet prepares the student for work in the modern Engineering and Manufacturing workplace. The program focuses on the Principles of Engineering and Applied Physics, CAD Design and Prototyping using CAM tools, and Computer Science. The students learn to implement the Engineering Design Process as a common language to solve problems in groups. The Health and Medicine- Biomedical Sciences Magnet explores concepts of human medicine, physiology, genetics, microbiology and public health. 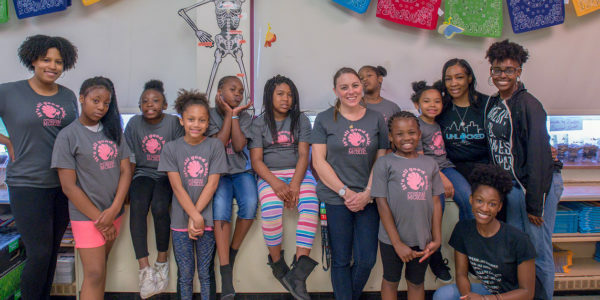 Students explore the prevention, diagnosis and treatment of disease, working collaboratively to design innovative solutions to the health challenges of the 21st century. In the Communication, Media and Public Policy Magnet students research contemporary public issues and create multimedia projects to expand awareness in the school community and larger community. By examining public policies relating to individual rights, healthy families, cultural diversity and sustainable environments, students develop skills required to be leaders in an interdependent global community. 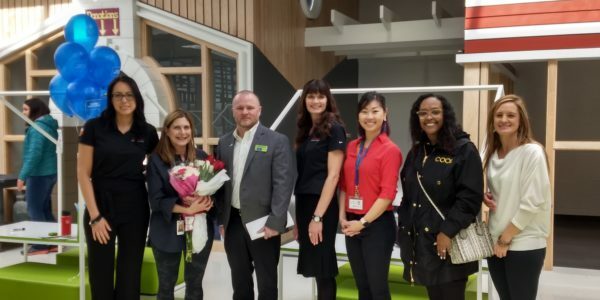 Finally, in the Business, Marketing, and Information Technology Magnet students explore the dynamics of business, marketing and entrepreneurship within a global society. Students study production, distribution, and consumption of goods and services. They use key technology applications like information management systems, graphics, and web design to connect local and global markets through business planning, management, marketing and advertising. Lincoln – Bishop Elementary Spanish Cultural Exchange Program – Bishop Elementary The Bishop Spanish Cultural Exchange Program strives to educate the whole child by fostering friendships in other cultures which will build their sensitivity to people who are different and give students a fuller worldview shaping their choices, increasing their independence and building their confidence throughout their lives. 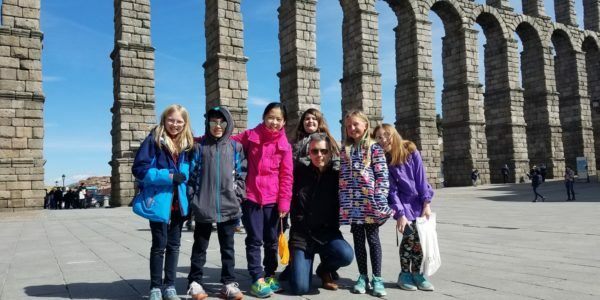 This program impacts the entire school community through communicating with the Spanish students and welcoming them into the school during the hosting experience. The exchange cultivates pride in the Lincoln community as it plans to host the Spanish students and witness them enjoying our culture. The traveling students gain confidence and independence that are invaluable as they enter middle school. 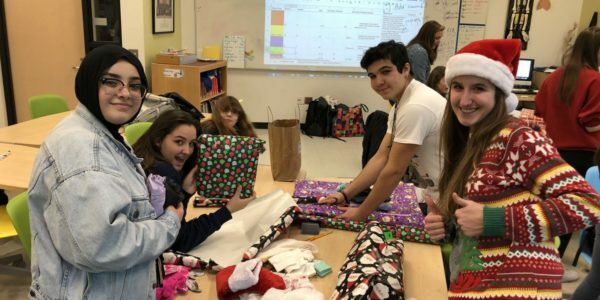 This program has been a tremendous opportunity for all Bishop students to build cultural understanding, grow empathy, and truly understand that children around the world are more alike than different. 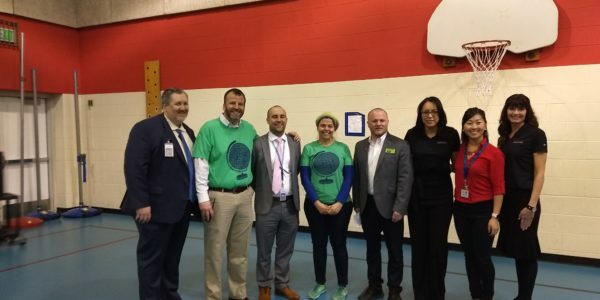 Dexter (Out-County) – “Mental Health Matters” Program – Mill Creek Middle School – Mental Health Matters was a day of conversation and activity for the 560 7th and 8th grade-students of Mill Creek Middle School in Dexter. 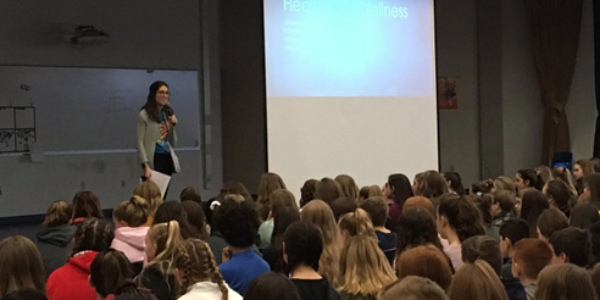 The goal for the daylong conference-style program was to educate students on the importance of positive mental health and empower students to take an active role in the care of their own mental health. Research indicates that there exist many evidence-based actions that children can take in their day-to-day life to reduce instances of stress and anxiety, and Mill Creek invited partners from the greater Dexter community to help show and tell the students of Mill Creek why their emotional wellbeing is key to their success in school and beyond. Over 30 professionals and educators volunteered their time and expertise to share their work and experiences with the students in diverse workshops with titles such as Discover Youth Strengths, Empathy Matters, Sometimes It’s More Than Just A Bad Day, and Understanding Anxiety and Effective Ways of Managing It. Mental Health Matters reminded students that school should not only be a safe space where their experiences and questions and ideas are welcome, but also a place where they can be validated.